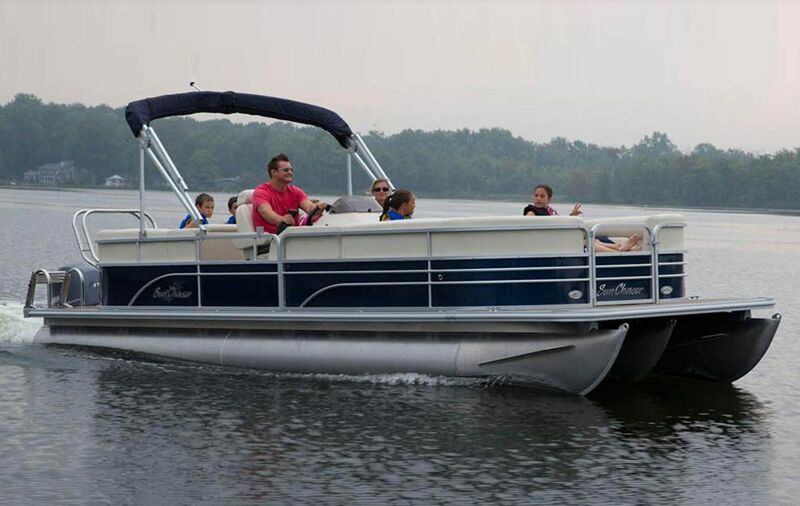 The SunChaser DS24 (Color: White) Pontoon is ideal for fishing, water sports or hanging out at your favorite swimming spot, with its extended bow and large vinyl deck. Other highlights include a stereo with elevated speakers, removable table, spacious seats and bimini top. 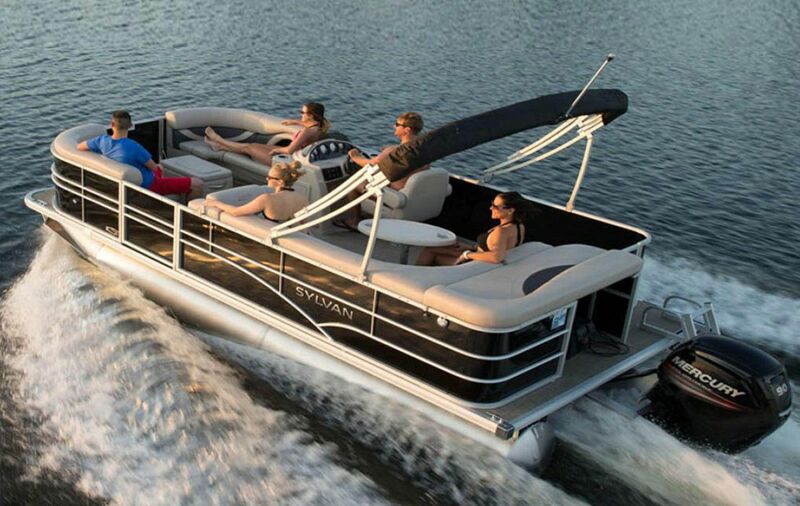 The Mirage Cruise 8522 LZ RE Pontoon from Sylvan is built for days under the sun with its four premium loungers. And when it’s time to play, a convenient rear entry ladder is perfect for tow sports. Spacious and luxurious, the Mirage 8520 Cruise pontoon comes equipped with premium Sylvan features and beautiful style. 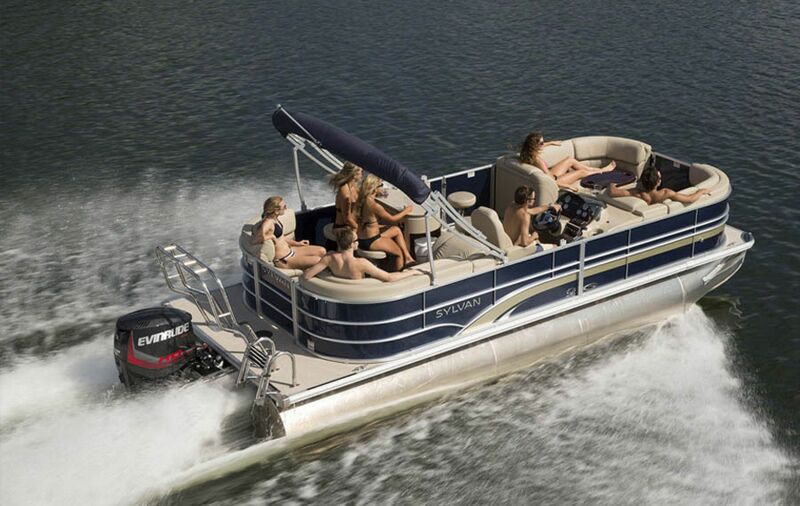 The Mirage 8520 offers the performance you expect from a Sylvan pontoon, and plenty of space to kick back and relax.